This article is about the U.S. Register. For the Canadian online database, see Canadian Register of Historic Places. The National Register of Historic Places (NRHP) is the United States federal government's official list of districts, sites, buildings, structures, and objects deemed worthy of preservation for their historical significance. A property listed in the National Register, or located within a National Register Historic District, may qualify for tax incentives derived from the total value of expenses incurred preserving the property. Old Slater Mill, a historic district in Pawtucket, Rhode Island, was the first property listed in the National Register, on November 13, 1966. The passage of the National Historic Preservation Act (NHPA) in 1966 established the National Register and the process for adding properties to it. Of the more than one million properties on the National Register, 80,000 are listed individually. The remainder are contributing resources within historic districts. On October 15, 1966, the Historic Preservation Act created the National Register of Historic Places and the corresponding State Historic Preservation Offices (SHPO). Initially, the National Register consisted of the National Historic Landmarks designated before the Register's creation, as well as any other historic sites in the National Park system. Approval of the act, which was amended in 1980 and 1992, represented the first time the United States had a broad-based historic preservation policy. The 1966 act required those agencies to work in conjunction with the SHPO and an independent federal agency, the Advisory Council on Historic Preservation (ACHP), to confront adverse effects of federal activities on historic preservation. To administer the newly created National Register of Historic Places, the National Park Service of the U.S. Department of the Interior, with director George B. Hartzog Jr., established an administrative division named the Office of Archeology and Historic Preservation (OAHP). Hartzog charged OAHP with creating the National Register program mandated by the 1966 law. 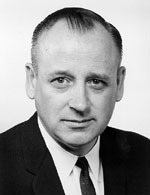 Ernest Connally was the Office's first director. Within OAHP new divisions were created to deal with the National Register. The division administered several existing programs, including the Historic Sites Survey and the Historic American Buildings Survey, as well as the new National Register and Historic Preservation Fund. 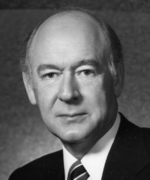 The first official Keeper of the Register was William J. Murtagh, an architectural historian. During the Register's earliest years in the late 1960s and early 1970s, organization was lax and SHPOs were small, understaffed, and underfunded. However, funds were still being supplied for the Historic Preservation Fund to provide matching grants-in-aid to listed property owners, first for house museums and institutional buildings, but later for commercial structures as well. The National Register of Historic Places has grown considerably from its legislative origins in 1966. In 1986, citizens and groups nominated 3,623 separate properties, sites, and districts for inclusion on the National Register, a total of 75,000 separate properties. Of the more than one million properties on the National Register, 80,000 are listed individually. Others are listed as contributing members within historic districts. Any individual can prepare a National Register nomination, although historians and historic preservation consultants often are employed for this work. The nomination consists of a standard nomination form and contains basic information about a property's physical appearance and the type of significance embodied in the building, structure, object, site, or district. The State Historic Preservation Office receives National Register nominations and provides feedback to the nominating individual or group. After preliminary review, the SHPO sends each nomination to the state's historic review commission, which then recommends whether the State Historic Preservation Officer should send the nomination to the Keeper of the National Register. For any non-Federally owned property, only the State Historic Preservation Officer may officially nominate a property for inclusion in the National Register. After the nomination is recommended for listing in the National Register by the SHPO, the nomination is sent to the National Park Service, which approves or denies the nomination. If approved, the property is entered officially by the Keeper of the National Register into the National Register of Historic Places. Property owners are notified of the nomination during the review by the SHPO and state's historic review commission. If an owner objects to a nomination of private property, or in the case of a historic district, a majority of owners, then the property cannot be listed in the National Register of Historic Places. A typical plaque found on properties listed in the National Register of Historic Places. A listing on the National Register of Historic Places is governmental acknowledgment of a historic district, site, building, or property. However, the Register is mostly "an honorary status with some federal financial incentives." The National Register of Historic Places automatically includes all National Historic Landmarks as well as all historic areas administered by the National Park Service. Landmarks such as these include: National Historic Sites (NHS), National Historical Parks, National Military Parks/Battlefields, National Memorials, and some National Monuments. Occasionally, historic sites outside the country's borders, but associated with the United States, such as the American Legation in Tangiers, also are listed. The tomb of Martin Luther King Jr. in Atlanta, Georgia is part of a National Historic Site and automatically listed on the National Register. In cases where the ACHP determines federal action will have an "adverse effect" on historic properties, mitigation is sought. Typically, a Memorandum of Agreement (MOA) is created by which the involved parties agree to a particular plan. Many states have laws similar to Section 106. In contrast to conditions relating to a federally designated historic district, municipal ordinances governing local historic districts often restrict certain kinds of changes to properties. Thus, they may protect the property more than a National Register listing does. Eleutherian Mills (1803) in Wilmington, Delaware, added in 1966. Loren Andrus Octagon House (1860) in Washington, Michigan, added in 1971. 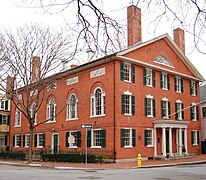 Hamilton Hall (1805 by Samuel McIntire) in Salem, Massachusetts, added in 1972. Chichester Friends Meetinghouse (1688 and 1769) near Boothwyn, in Upper Chichester Township, Delaware County, Pennsylvania, added in 1973. Lexington Historical Museum (1846) in Lexington, Missouri, added in 1978. Lake Mohonk Mountain House (1869–1910) on the Shawangunk Ridge in Ulster County, New York, added in 1973. Holy Resurrection Orthodox Church (1915) in Berlin, New Hampshire, added in 1979. 16th Street Baptist Church (1911) in Birmingham, Alabama, added in 1980, received in 2006 a Save America's Treasures Grant. Fargo Theatre (1926) in Fargo, North Dakota, added in 1982. 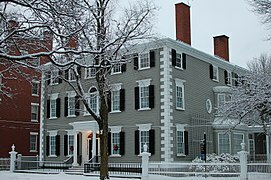 Stephen Phillips House (1800 by Samuel McIntire) in Salem, Massachusetts, added in 1983. Log Cabin (ca. 1795) within Green Valley Historic District, in parts of East Marlborough Township and Newlin Township, Pennsylvania, added in 1985. The lodge and cabins at White Pines Forest State Park, in Illinois, are part of a multiple property submission. The nomination of individual properties in an MPS is accomplished in the same manner as other nominations. The name of the "thematic group" denotes the historical theme of the properties. It is considered the "multiple property listing." Once an individual property or a group of properties is nominated and listed in the National Register, the multiple property documentation form, combined with the individual National Register of Historic Places nomination forms, constitute a multiple property submission. Examples of MPS include the Lee County Multiple Property Submission, the Warehouses in Omaha, the Boundary Markers of the Original District of Columbia, and the Illinois Carnegie Libraries. Before the term "Multiple Property Submission" was introduced in 1984, such listings were known as "Thematic Resources", such as the Operating Passenger Railroad Stations Thematic Resource, or "Multiple Resource Areas." Sites are the locations of significant events, which can be prehistoric or historic in nature and represent activities or buildings (standing, ruined, or vanished). When sites are listed, it is the locations themselves that are of historical interest. They possess cultural or archaeological value regardless of the value of any structures that currently exist at the locations. Examples of types of sites include shipwrecks, battlefields, campsites, natural features, and rock shelters. Properties are not protected in any strict sense by the Federal listing. States and local zoning bodies may or may choose to not protect listed historic places. Indirect protection is possible, by state and local regulations on development of National Register properties, and by tax incentives. In American historic preservation, the fifty-year rule is the generally held belief that a property cannot be listed in the National Register of Historic Places unless it is at least fifty years old. Actually, this rule is not a hard rule at all; it is an exception to the National Register's criteria for evaluation. As stated by John H. Sprinkle, Jr., Deputy Director of the Federal Preservation Institute, "this 'rule' is only an exception to the criteria that shape listings within the National Register of Historic Places. Of the eight 'exceptions' [or criteria considerations], Consideration G, for properties that have achieved significance within the past fifty years, is probably the best-known, yet also misunderstood preservation principle in America." With each passing year, a new group of resources crosses the fifty-year threshold, that were before considered "too recent" for listing on the National Register of Historic Places (unless they were exceptionally significant). The preservation of these "underage" resources has gained increasing attention in recent years. As of 1999, there have been 982 properties removed from the Register, most often due to being destroyed. Among the properties that were demolished after their listing are the Jobbers Canyon Historic District in Omaha, Nebraska (listed in 1979, demolished in 1989), Palace Amusements in Asbury Park, New Jersey (listed in 2000, demolished in 2004), and seven of the nine buildings included in the University of Connecticut Historic District in Storrs, Connecticut (listed in 1989, demolished in 2017). ^ a b c National Park Service (July 9, 2010). "National Register Information System". National Register of Historic Places. National Park Service. ^ "National Park Service Directors and Directorate," Historic Listing of National Park Service Officials, National Park Service. Retrieved March 22, 2007. ^ a b c d e f g Fisher, Charles E. (1998). "Promoting the Preservation of Historic Buildings: Historic Preservation Policy in the United States". APT Bulletin. 29 (3/4): 7–11. JSTOR 1504604. ^ "Department of Transportation Act", (PDF), National Park Service, Official site. Retrieved March 21, 2007. ^ "Robie House Archived June 21, 2007, at the Wayback Machine," (PDF), National Register of Historic Places Nomination Form, Illinois Historic Preservation Agency. Retrieved April 11, 2007. ^ " "Strengths of Local Listing". Working on the Past:In Local Historic Districts. National Park Service. Archived from the original on May 12, 2011. Retrieved February 17, 2011. ^ "National Register of Historic Places: Multiple Property Covers as of 06/01/2014". National Park Service. Retrieved September 16, 2014. ^ "Rehabiliation Standards and Guidelines—Technical Preservation Services, National Park Service". NPS.gov Homepage (U.S. National Park Service). Retrieved November 16, 2017. ^ "Save America's Treasures". National Trust for Historic Preservation. Retrieved March 1, 2013. ^ https://www.nps.gov/nr/publications/guidance/50_year_rule_history.pdf Of Exceptional Importance: The Origins of the Fifty-Year-Rule in Historic Preservation. ^ Sprinkle, John H., Jr (Spring 2007). ""Of Exceptional Importance": The Origins of the "Fifty-Year Rule" in Historic Preservation". The Public Historian. 29 (2): 81–103. doi:10.1525/tph.2007.29.2.81. ^ Gratz, R.B. (1996) Living City: How America's Cities Are Being Revitalized by Thinking Small in a Big Way. John Wiley and Sons. p. V.
^ National Trust for Historic Preservation and Zagars, J. (1997) Preservation Yellow Pages: The Complete Information Source for Homeowners, Communities, and Professionals. John Wiley and Sons. p.80. ^ Mikle, Jean. "Asbury Park's Tillie is still safe". Springfield News-Leader. Retrieved October 1, 2017. ^ BLAIR, RUSSELL. "UConn to Demolish Seven of Nine 'Faculty Row' Houses". courant.com. Retrieved October 1, 2017. Sprinkle, John H, Jr. Crafting Preservation Criteria: The National Register of Historic Places and American Historic Preservation. New York: Routledge, 2014. Wikimedia Commons has media related to National Register of Historic Places.